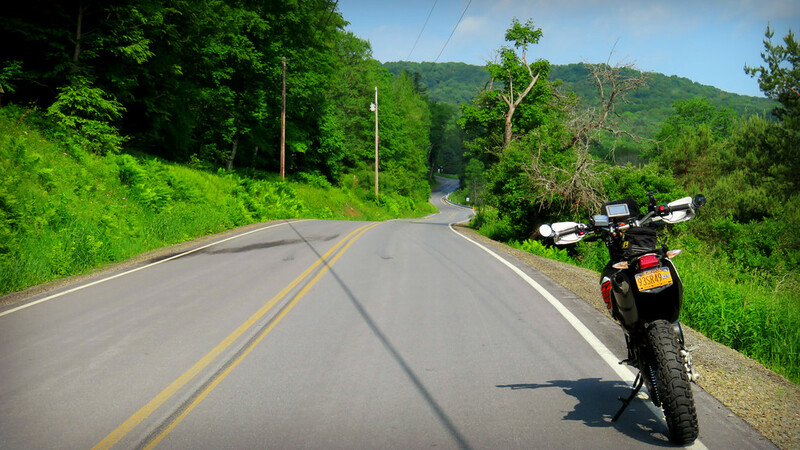 With the heat supposed to come on like gangbusters, on Saturday morning I zipped out from Lock Haven before the rest of the world was stirring. There was still a coolness hanging on the air following a quick rainstorm that passed through the valley. As I motored along PA 44, there was a moment when I considered stopping to close the vents on my jacket. It was that cool alongside the damp woods. That joy didn’t last long. By midday the heat started pressing down. 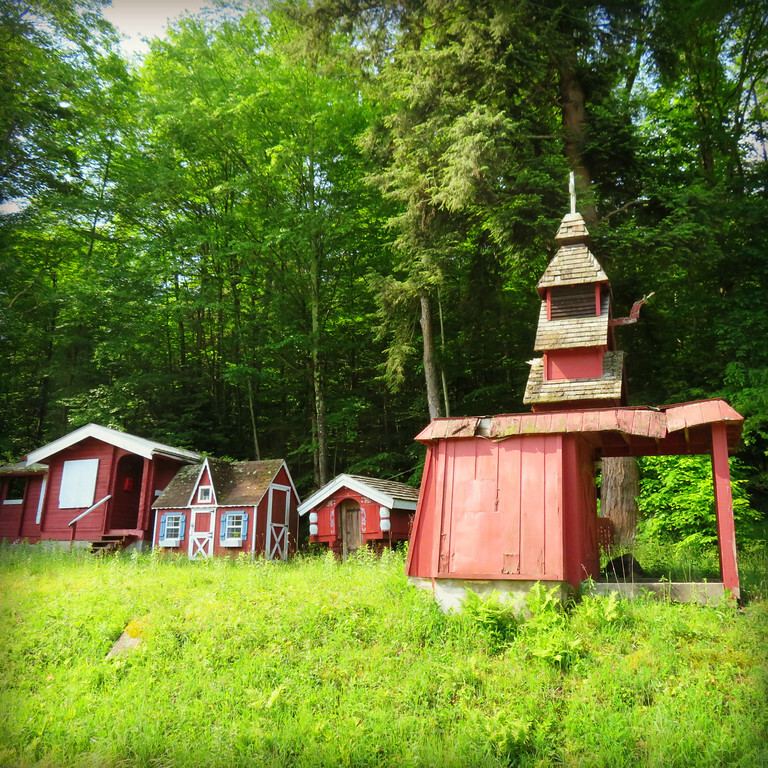 I pulled over to take a look at a collection of shed-like buildings on the side of the road. 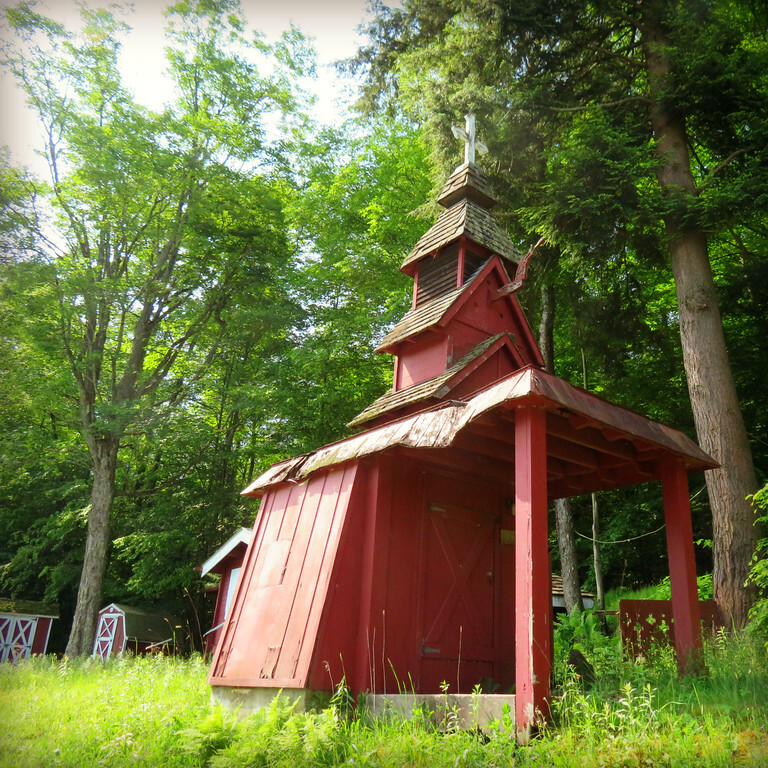 What caught my eye in particular was the one modeled like a stave church you might see in Norway. 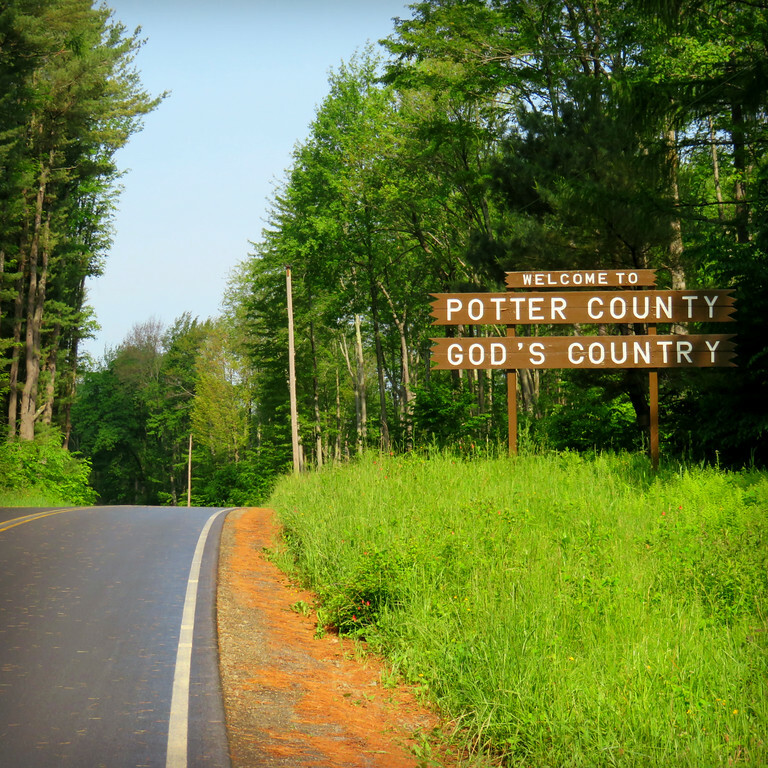 That was a curious sight along the backroads of Pennsylvania. I have no idea what the story is there but it’d be interesting to know. When I walked back across the road to my bike, the wriggling road ahead was calling my name. You never know what you’re going to see out there in the world. Every day has it’s surprises. Riding around, taking in the world is an excellent education. That’s such a great area to ride. The roads do call to you. Hidden in the hills and valleys are some amazing twisty paved roads and some wild gravel, dirt and goat paths. it really is. i love cruising around out there.